Colosseum Cinema and Café Refurbishment. The Lavish Life café and Colosseum Cinema, Westbourne, are currently closed for redecoration. Due to reopen around 15 July, the café will become a healthy salad centre, featuring juices and foods from around the world. The cinema can lay claim to being the smallest in the UK. At just 19 seats, it first opened its doors on 30 September 2013. It even has a 2-seater “Royal Box”! It shows classic vintage films, using the latest high quality equipment. Located in the basement of the Lavish Life Café in Westbourne Arcade, it has seats formerly in use in the Welsh National Assembly. Fellow Westbourne business Dawsons supplied the state of the art equipment used in the cinema. The cinema is also available for private parties. We await the reopening in a week or so. 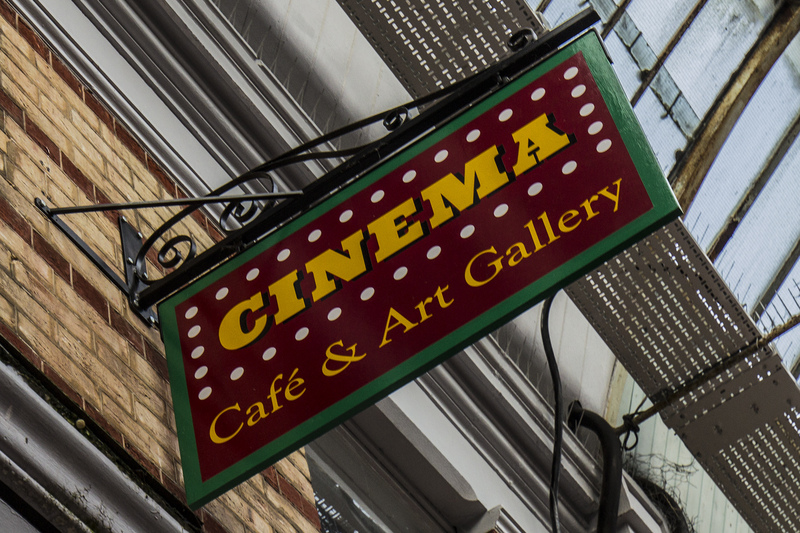 Hopefully, I will be able to conduct a photo-interview to put on the blog when the cinema and café have re-opened.